The Debate over a Proposed Export Trade in Legal Rhino Horn – A Synopsis of the Pros and Cons of an 11 Year- Old Discourse. Eleven years after the commencement of the surge in rhino poaching in South Africa – a decade and more of havoc with over 7000 rhino slain – our Editorial panel has decided to publish the nub of the arguments raised against, and for, the TCI’s long standing campaign to change the status quo with a fresh approach based on common sense, business logic, and the scientific evidence underpinning sustainable use. Our apologies to those pro trade converts who find themselves reading the same points which they have appraised so many times in so many of the articles and documentary films we have used over the years to advance our viewpoints; but we offer in defence of this the fact that opposition views – some of very recent origin and emanating from people in the foremost ranks of wildlife conservation – simply cannot assimilate sound lateral thinking and persist in promoting the same tired set of failed arguments to defend what has become an embarrassment. So to reiterate. 1)A legal trade would not protect wild rhino.Currently, at $60,000 per kg, there is an annual demand for about 1,200 horn-sets. That is all supplied by the criminal trade and most of the horn comes from killing wild rhino. A legal trade can satisfy that level of market demand, sustainably, without the need to kill one wild or captive rhino. 2) The trade ban has worked.The ban was introduced in the late 1970s. Tens of thousands of thousands of rhino have been poached since then. Poaching might have been worse without the ban but, essentially, as a strategy for protecting rhino, the ban has been a failure. It has enriched criminals at the expense of Africa’s parks. A properly regulated legal trade would have satisfied market demand, at a price that brought supply and demand into balance, and been better at protecting rhino. 3)More law enforcement is needed as well as demand reduction. Law enforcement will not work if there is corruption amongst the law enforcers, which there is. One million Far Eastern consumers could consume the entire annual supply at 5 gm per annum per person. There are probably hundreds of millions of potential buyers that would like to buy horn at lower prices. It would seem impossible to persuade every last million not to buy horn and even if it was possible, it would take many years or too long for the survival of the rhino. Demand reduction is a futile strategy. 4)The drivers of demand are not understood. Demand is from speculators, TCM users and there is demand for the manufacture of trinkets. Those are the drivers and they are easily understood. It does not matter in what proportion total demand is made up and the ratios will change over time. Persistent demand and the size of that demand at a given price is what is important. 5)That NGOs receive no personal benefits from donor funds. Donor funds pay the salaries of NGO staff. Crises amongst the large charismatic animals are an important factor in accessing donor funding. 6)That either the markets will not buy captive bred horn or that captive bred horn will be insufficient to meet demand.South Africa has large stocks of wild horn. It would be very difficult for the market to tell the difference between wild and captive horn but if necessary there can be a price differential. Demand for wild and captive horn can be limited by price, given the “Smart Trade” model. 7)That pro-traders say that legal horn will be significantly cheaper.There is no reason for that to be the case and it is undesirable. The price needs to be high in order to limit demand to a level that limits demand to sustainable levels of supply. 8)That NGO staff are educated and honourable. They may be educated but not astute. Business people understand trade and the significance of price. Many within the conservation industry choose not to understand the significance of price. Disinformation, complicating the issue, sowing doubt and not looking for practical solutions, does not fit well with being honourable. 9)That farming of tiger, abalone, cycads and Vicuna has not reduced poaching. Most of the world market for abalone is supplied from farmed abalone. If the farms were closed, poaching would increase greatly. Nobody is suggesting that a legal trade in horn will eliminate poaching but it should reduce it substantially. As a matter of interest, there is no difference in the market price of farmed and wild abalone. No mention is made of crocodile farms that have almost eliminated the poaching of wild crocodile. 10)That without more data on the effects of a legal trade, it is best to do nothing. It is not possible to assemble data on a legal trade without a legal trade. Markets are well understood and it is almost certain what will happen. Doing nothing will just perpetuate the crisis. 11)South Africa does not have the skills to manage a legal trade. 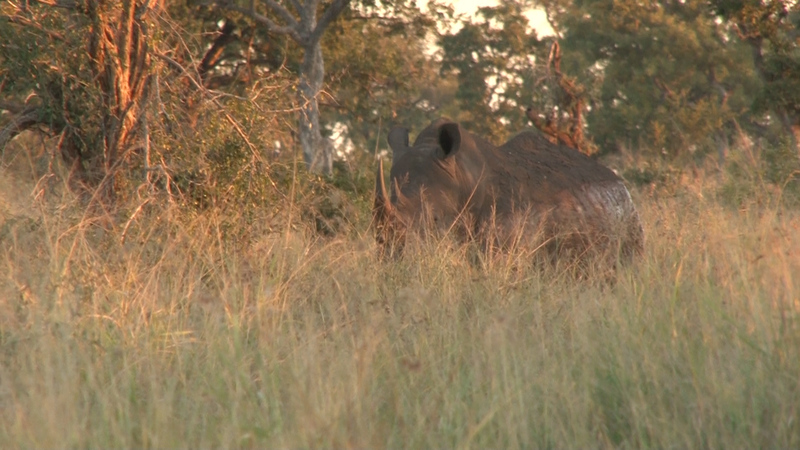 A lot of thought has been put into a “Smart Trade” model for rhino horn. It was based on 50 years of experience in the diamond trade. South Africans are probably the world experts on controlling a market through price with the help of a monopoly of supply selling to a cartel of retailers. Little mention is made of the profits of some $150 million, at wholesale prices, that could be earned by a legal trade. That profit could be the catalyst in turning around Africa’s parks and greatly increasing tourism. Horn trade is probably the conservation opportunity of a lifetime but either that is not understood or it is seen as a threat to the donor agencies? “Conservationists” are mostly opposed to trade probably because their inherent emotions don’t like it but they don’t want to admit to being driven by emotions so are tempted to fabricate reasons to oppose a legal trade and those reasons are then self-declared as being “science”. Trade is linked to profit and to low-life people who have little education and who exploit the consumer for self-enrichment. A legal trade is not seen as a probable solution to satisfying market demand in a sensible way. Those opposed to trade appear to prefer the illegal trade to kill rhino in order to satisfy the market and for criminals to pocket all the cash at the expense of parks and private owners. The illegal trade seems to incorporate all the undesirable aspects of trade such as killing rhino and people and making money for criminals while a legal trade would not require the killing of rhino or people and would provide necessary profit for parks and law abiding private owners who protect and propagate rhino.